BB creams stands for Blemish (or Beauty) Balm and they are “the product” on the market at the moment. They claim to be an all-in-one miracle product (moisturizing, nourishing, protecting with SPF, reducing the appearance of dark spots and making a perfect skin look). Sure, they can be – if you find a proper one for yourself. My search for the perfect BB cream wasn’t going so great, after trying two testers I almost lost hope for finding a perfect shade for myself. They were just too dark. I definitely have a light skin tone (I’d say a natural undertone) and finding a matching liquid foundation (or in this case BB cream) is always difficult. 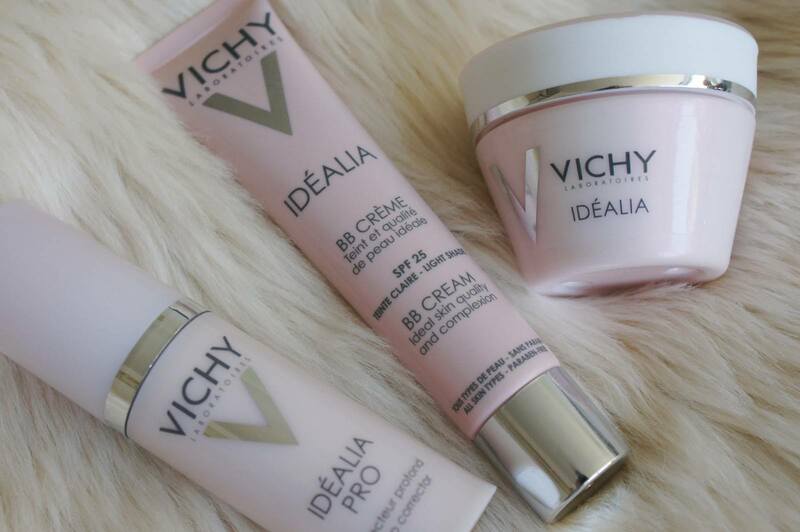 After receiving the news that Vichy is adding a new product to the Idealia “family”, I was a bit sceptical, expecting the same story again (considering it’s only available in two shades: light and medium). I was so wrong. 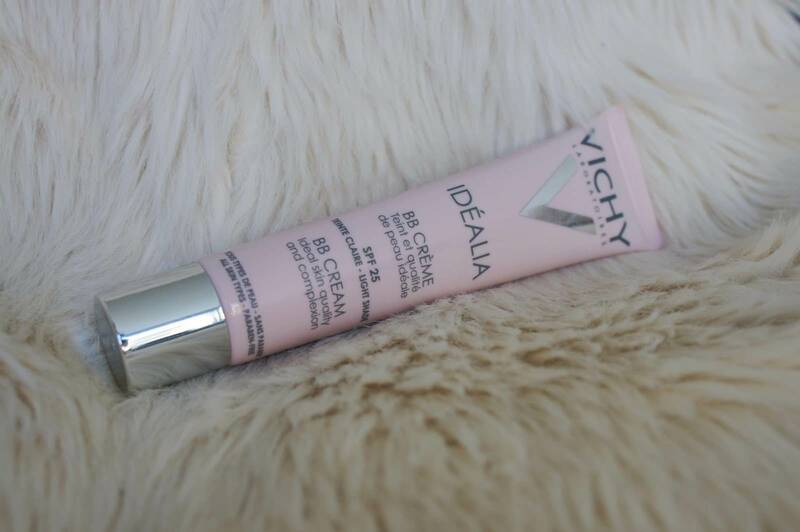 Idealia BB Cream (light/claire shade) is the BB cream for ladies with fair skin and it suits mine perfectly! If you’d like to achieve a porcelain Snow White look, this is probably not the best product to go for. 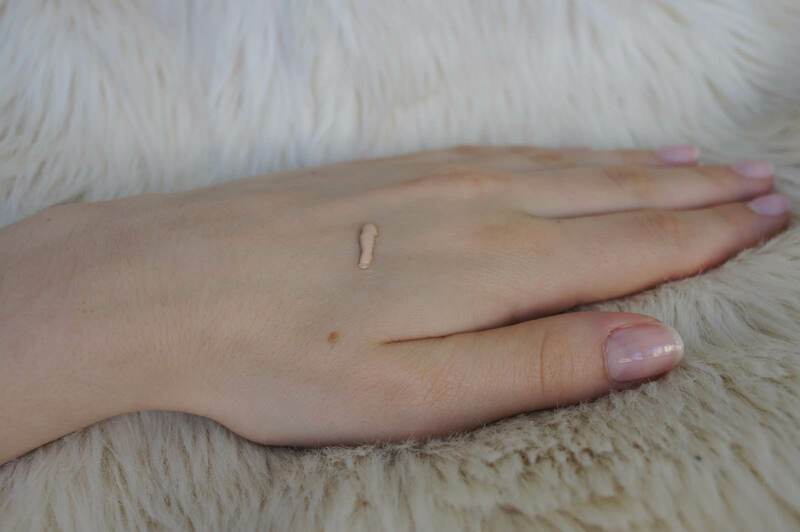 It produces a healthy glowy look, but do not fear – without a greasy finish! Applying is very easy thanks to its melting light texture. You actually don’t feel it during the day; it feels light, hydrating and comfortable. 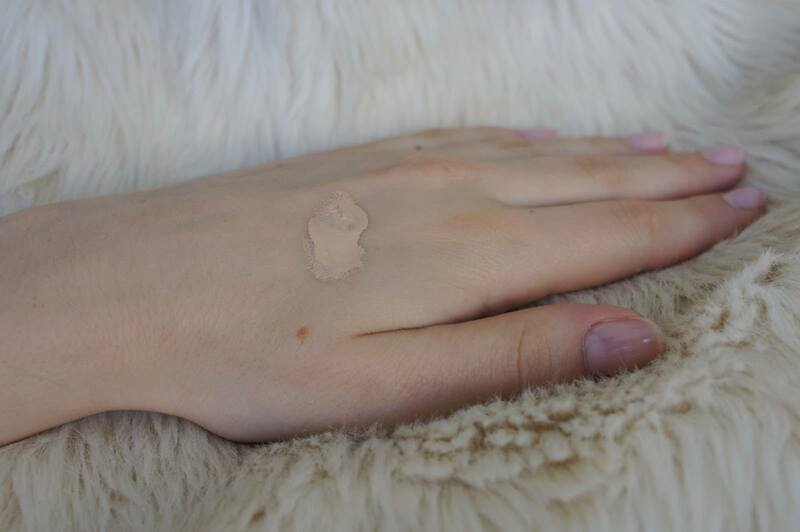 Complexion appears illuminated, the coverage is in my opinion medium. What they say at Vichy? BB Idealia Cream is for women concerned with a grey and dull looking skin tone, uneven complexion and signs of ageing that can be accentuated by daily exposure to the sun. Suitable for all skin types, including sensitive skin. The product is enriched with a unique complex (the natural ingredient kombucha) and light reflecting pigments. It’s designed for 6 different actions: illuminate, hydrate, smooth wrinkles, refine skin texture, reduce the appearance of dark spots and protect with SPF 25. 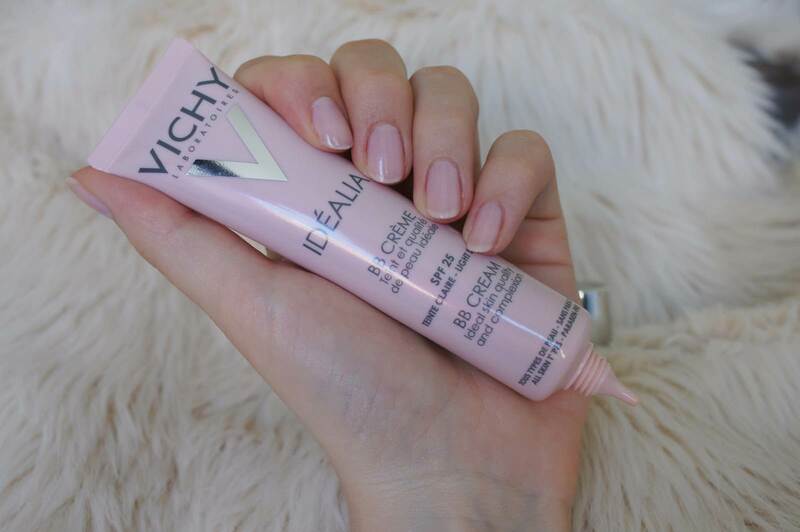 Claims to be the first BB cream with anti-gray technology. Although it’s considered as an all-in-one product, I’m using it in a combination with Idealia Cream (applying it about 30min before), because of my dry to normal skin type. On critical areas (read: pimples) I also use a corrector in stick. To sum up, BB Idealia Cream quickly became one of my favourite products, giving me a fresh and healthy look that’s perfect for summer days. uuu si se odločila v obeh jezikih pisat, al je to samo temu izdelku v čast? This seems to be quite a good version of BB cream, blends in really nicely. Treba jo bo sprobat, ker se sliši res obetavna. Sicer sem od BB kremic imela samo Garnier, ki pa je nažalost pretemna zame, tako da upam, da je ta svetlejša in tudi boljša. No testerja sta bila ravno Garnier in L'Oreal. Oba najsvetlejsi odtenek, ampak pretemen. Ta je mnogo svetlejsa. Da pa res tak poleten videz! Zadnje čase res vsi ..(no ne vsi =) ) govorijo o BB kremah in ravno tole Garnierjevo, ki je omenjena v zgornjem komentarju, sem nameravala probat..ah ti odtenki te res lahko spravijo v slabo voljo. I like that brand but I didnt try this one BB. But looks great and I like that post. Have a nice day. I was thinking about trying it too. They look like such great products, would love to try them! Zame je vsekakor najboljša BB krema kar sem jih preizkusila. Očitno ti odtenek ne ustreza. Moja sestra je malo temnejša in je vzela zato temnejši odtenek in ji tudi super paše.